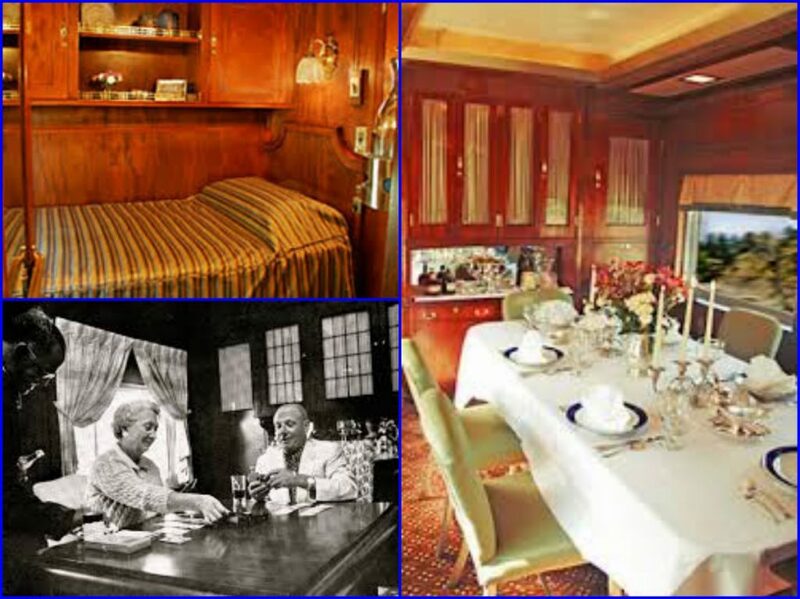 Home / 1930s / PRIVATE TRAIN CARS: A look inside! President Donald Trump’s “Mar-a-Lago” may be the closest proximity you might have to the illustrious society history of Post Cereals Heiress Marjorie Merriweather Post unless you charter her former private railway car. Originally christened Hussar, the car was built in 1922 for Post and her husband E.F. Hutton. The car was used for company business and personal travel. The famous couple journeyed between their principal residence in New York City; their Hispanic-Moresque winter estate (Mar-a-Lago) in Palm Beach; and Camp Topridge, the couple’s summer retreat in the Adirondacks of upstate New York. 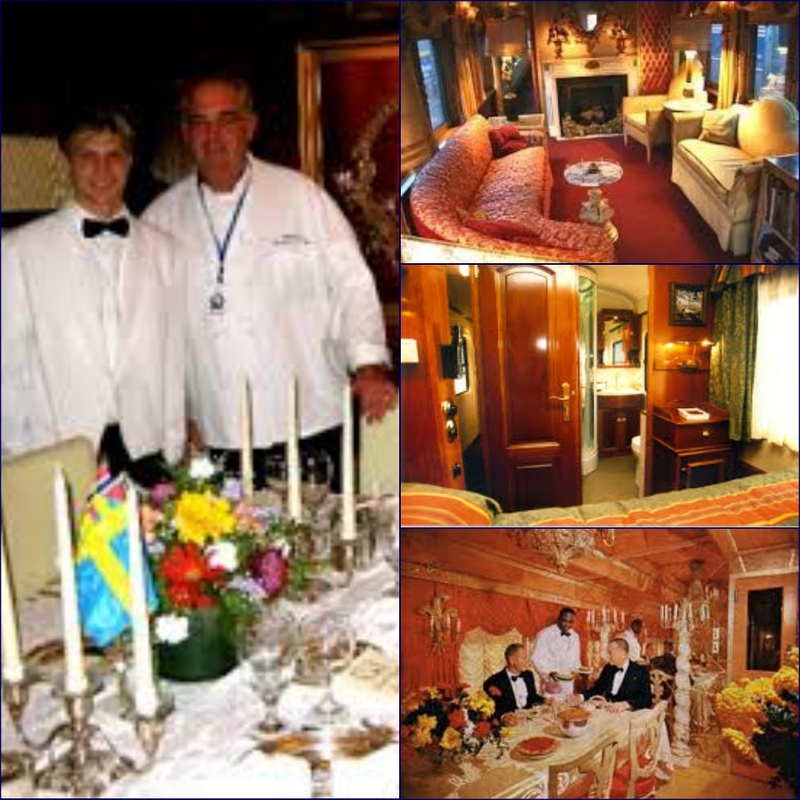 It was also used extensively for entertainment, as Post was known as a lavish hostess. The Hutton’s divorced in 1935 and the Hussar became a part of Post’s settlement. She later remarried Joseph E. Davies, a Washington, D.C. attorney and ambassador to the Soviet Union and Belgium. 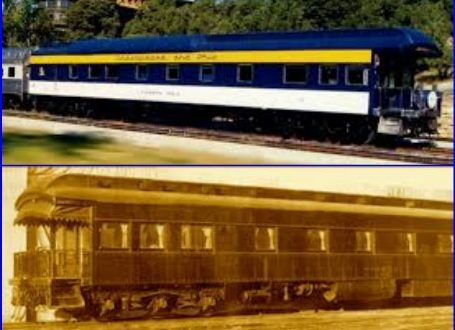 After the Davies left for the Soviet Union in 1937, the Hussar was sold to the Chesapeake & Ohio Railway. It was then used as a business car in the 1960s for railway executives. With the advent of Amtrak, the car may have been scrapped if it were not for rail aficionado DeWitt Chapple Jr. He bought the car and restored it. n 1972, he used his newly refurbished private car for a trip to Philadelphia on the rear of Amtrak’s National Limited (formerly a crack streamliner for the Pennsylvania Railroad). Since then he has accumulated over 250,000 miles aboard the Chapel Hill both in the United States and Canada. 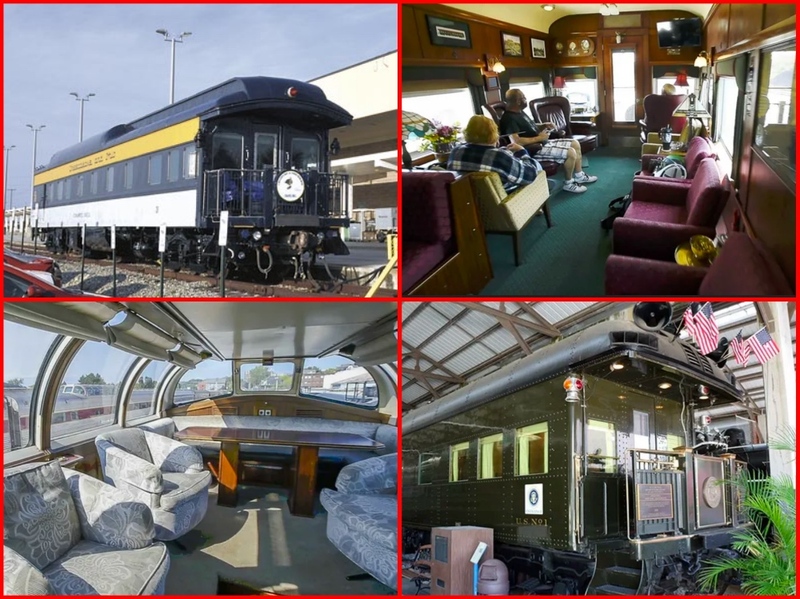 Previous: New York’s 20th CENTURY LIMITED – the greatest train in the world!